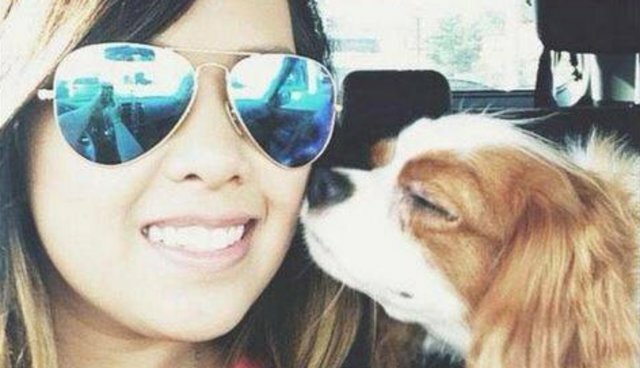 After Dallas health care worker Nina Pham became the first person in the United States to contract the Ebola virus, city officials vowed not only to give her the best care possible to fight the deadly disease - but also to make sure her beloved pet, a 1-year-old Cavalier King Charles spaniel named Bentley, was kept safe too. "As our brave healthcare worker told us, this dog is a significant part of her life and we vowed to her family we would do everything in our power to care for her beloved pet," said Dallas Mayor Mike Rawlings. "We will continue to help monitor and care for this pet while following all guidance and protocols of the [Centers for Disease Control] (CDC)." And officials have kept their word. Bentley is currently under quarantine at a decommissioned Naval Air Station in Dallas, under the care of veterinarians from Dallas Animal Services. He's being closely monitored for signs of sickness for the next three weeks, but despite being separated from Pham and uprooted from his home, the little dog is said to be adjusting nicely to his new surroundings. "Bentley is settling into his new accommodations amazingly well and getting used to his new routine," Dallas Animal Services reported on Thursday. Although the CDC says that the chances that a dog could catch or transmit Ebola are "very low," Bentley's temporary caretakers are still taking precautions. Several times a day, veterinary expert Dr. Tammy Beckham dons protective gear to give the dog food and water - and to give him a little loving attention. Animal Services says they're hoping to mimic a homelike environment for Bentley to keep him happy during his temporary stay. "Bentley had the routine down pat this morning, and even took a break to play with his new toy and show Dr. Beckham some love and appreciation for his care with some morning snuggles," writes Animal Services. 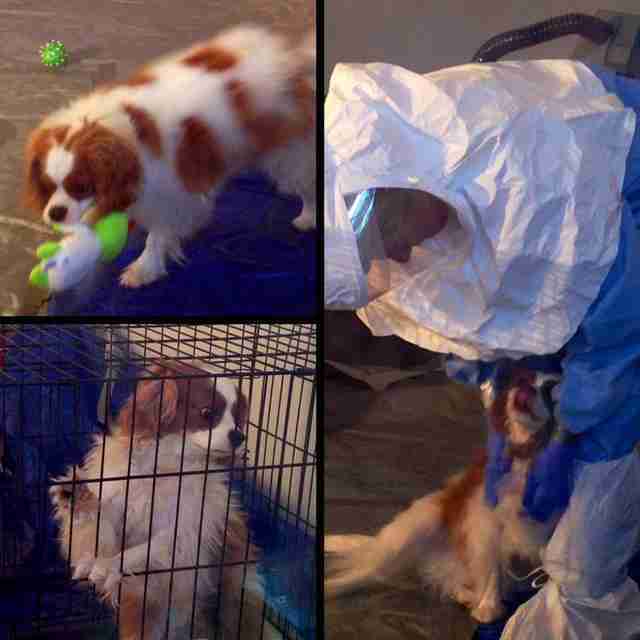 After 21 days in isolation, Bentley will be tested for the Ebola virus. If the results are negative, he is expected to be released with a clean bill of health - though he may be a bit plumper for his time in quarantine. "He is definitely food-motivated," says vet Dr. Cate McManus, operations manager Dallas Animal Services, to Dallas News. "I apologize to Nina if he leaves here fat as a house." Pham has been transferred from Dallas to a hospital in Maryland and is said to be doing "really well."